Anyone who knows anything knows that this album is big news. Jay and Dev have put the graft in over the last decade to claim and maintain D&B-elite status both as producers and DJs. 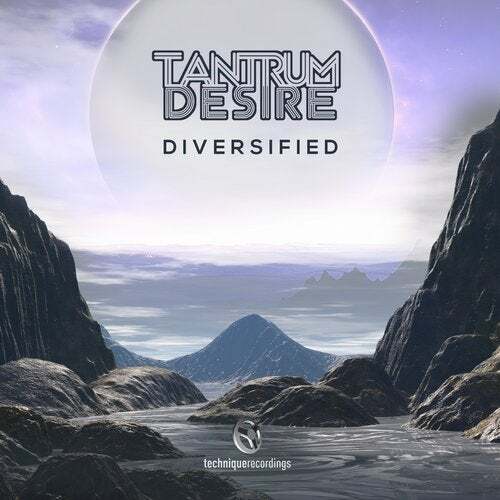 There are a handful of acts that can simultaneously kill it in the underground and the mainstream, and this is why Tantrum Desire is one of them. Of course, this album contains more than its fair share of showstopping anthems. Oblivion, for example, seduces us with the uplifting innocence of Solah's vocal style, before dropping to gritty toughness in a way which connects with both listeners' emotions and ravers' dancing shoes. Some tunes, like the Laura Bayston-laced Underground and the syncopated madness of Genesis, have already been making waves for a while among those who keep their finger on the pulse. And the aggressively percussive US-influenced Pump is currently a key weapon of choice among DJs when it's time to turn up the hype levels. Then there are a couple of almighty supergroup collaborations. For one, Drumsound and Bassline Smith join the party on I Need You Here, which takes the big-room build-up to Empire State proportions. The drop is a virtuoso display of drum programming, with a heavy bed of half-speed kicks and snares supporting subtly-switched up samples. But then just when you think you've reached the limit of what the track has to offer, there's a breakdown and another build into a full-speed, full-power drop that's going to hit like a tactical nuke in any rave. Matrix and Futurebound pass through too, to bless The Shadows with their skills. The track builds into straight up modernist techstep, taking the classic paradigm and applying contemporary sensibilities of energy control. But this album isn't just a collection of singles, it's a journey mapped by a pair of DJs and producers immersed in the music. This is made clear right from the beginning, with the drumless title track setting out the template of movement between vibes and styles. Delving deep, there's Goddess of Love, with its unapologetically constant level of tension, reiterated and reinforced by ever-changing sample-manipulation. And there's Back for Love, featuring Julie Gordon and Smokesta, an almost lo-fi excursion, which takes tropes from trip-hop and the Bristol Sound to create something that's sure to strike a chord with old skool junglists. These are just some of the things Diversified has to offer. There are sixteen tracks here which, together, crystallise the multiple, complex layers of Tantrum Desire's take on bass-led electronic dance music in 2015. The joy is going to be discovering those layers for yourself. So go discover.